Johannes proposes marriage to Jette in such an uncharming manner that she is scared off. One word follows the other and instead of falling into each others arms each says what they have been thinking for a long time. Jette used to think that Johannes’ spleen for cars including his white-blue, tuned race Trabbi was cute. But now she only sees the egoist who willingly takes bribe at his work as a car mechanic. Jette takes off to her friend and colleague Conny. They both work as hostesses in the television tower in Berlin. Even though they used to share the apartment, Jette’s visit does not come at a convenient time. Conny is expecting her new boyfriend Geert. So Jette goes to her brother Karl and his wife but this is not the ideal lodging either. Furniture, ornament wallpaper and a calorie chart above the kitchen table – the modern apartment reflects the deadlock of their marriage. Jette suddenly looks at her surroundings with different eyes. She spends much time thinking about her relationship to Johannes. But she seems open to a flirt with her old love Peter. 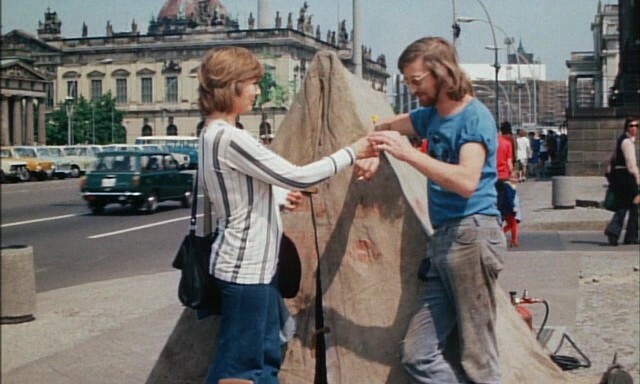 A colourful Berlin film with pop music, few clothes and atmospheric Berlin images: the Alexanderplatz, the Brandenburg Gate, crumbling buildings and backyards and modern apartment buildings. 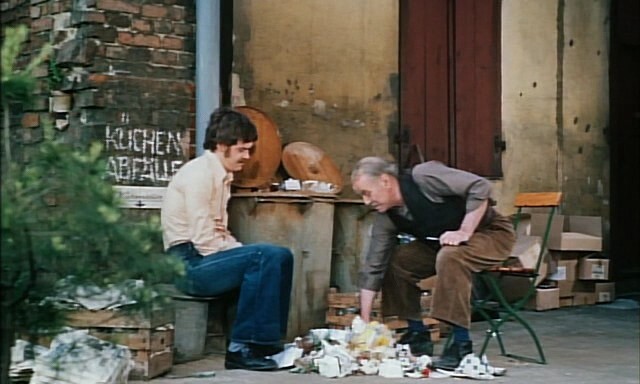 Director Rolf Römer does not miss several side blows on philistinism and overindulgence of alcohol. Nina Hagen has a rocking cameo as singer of the band Gruppe Stern-Combo Meissen. Source: Icestorm PAL DVD SuperIllu Sonderedition 60 Jahre DEFA.